Hello my lovelies! Another Monday is upon us and all I'm wishing for is that I survive it without too much stress. 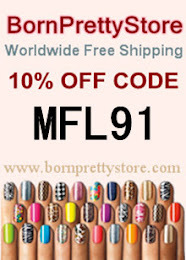 A few months ago I was contacted by a new online shop that sells nail art products. 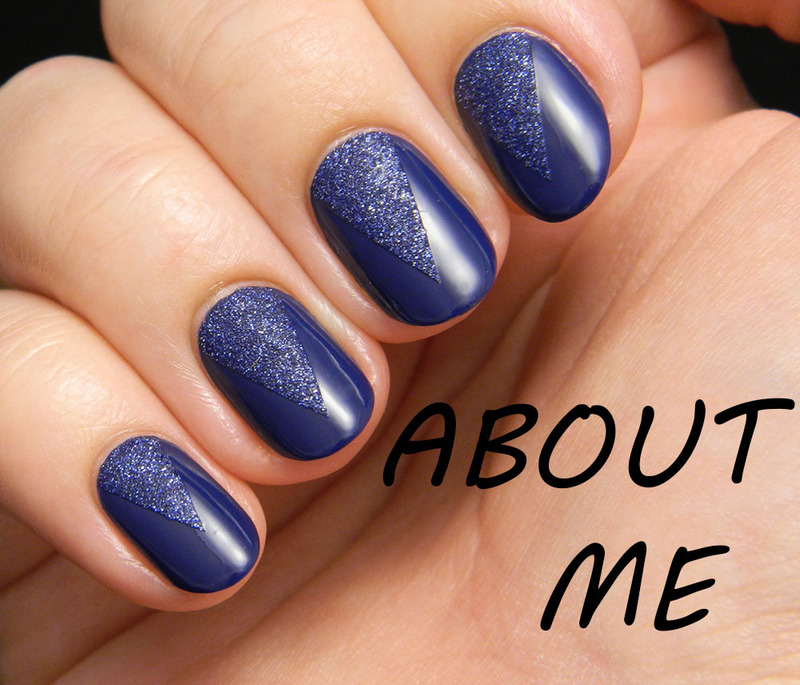 They are called LadyQueen and they asked me if I could review some of their nail art stuff. Of course I said yes because I always like to try out new nail stuff. They are based in Asia, so it took quite some time for the package to arrive to me. I guess that's the only drawback since the shipping is free anyway. 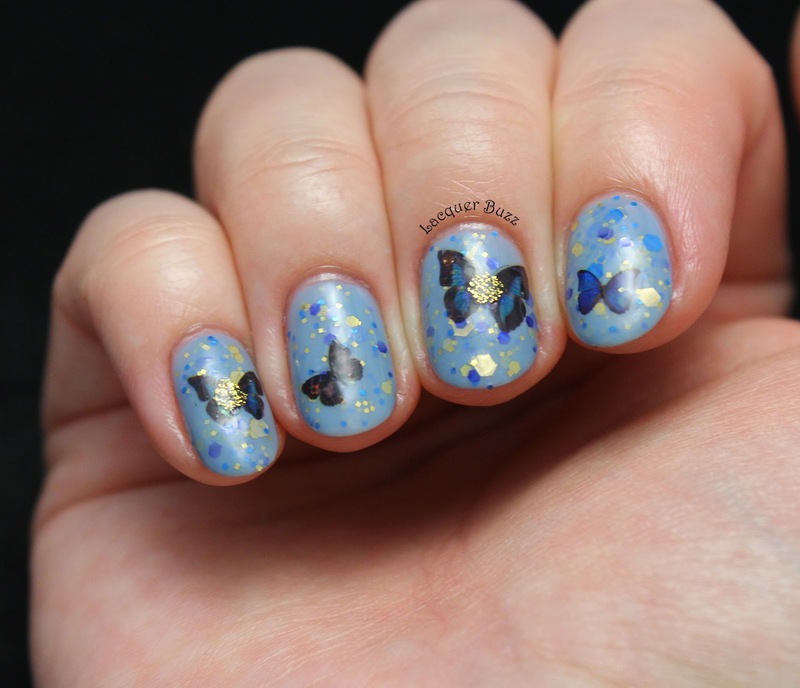 I have three things to show you from their shop and today I'm starting with some lovely butterfly water decals. 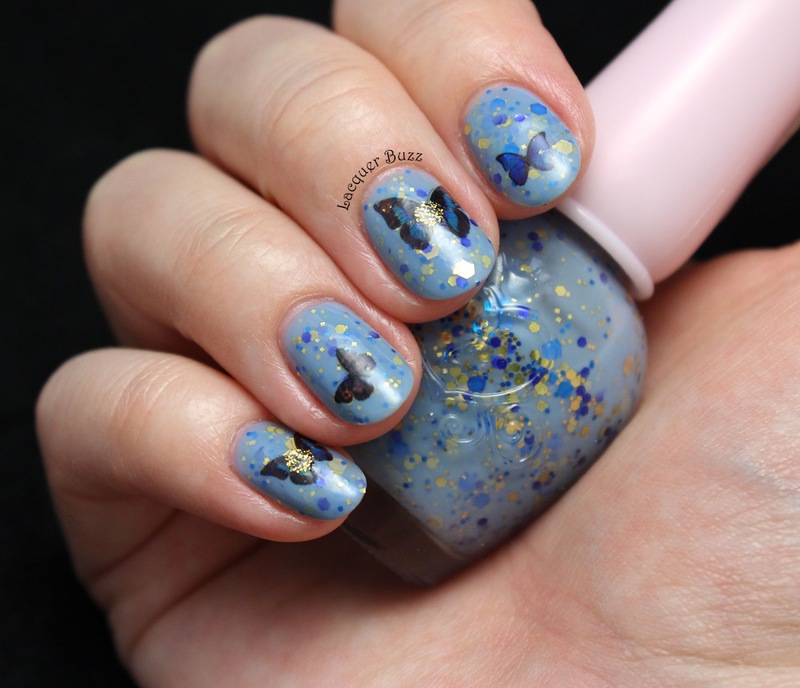 I must admit that ever since I saw the beautiful stamping decals other nail artists are creating, I feel like water decals are cheating. I still haven't perfected my stamping decal technique and these are very easy to use if you are like me. They come on a sheet that looks like this. All you have to do is take the sheet out and cut the designs that you are going to use in individual pieces. Don't forget that there's a little foil on top that you have to peel off just before using them. After that, all you have to do is dunk them in water for 15 seconds and the very thin butterfly design will peel off the paper and you can put it on your nail. Finish everything with top coat and there you have it. I always like to link my extended water decal tutorial I did a few years ago, in case you want to see pictures of the process. The only issue I've found with these is that the tiny butterflies are very close together on the sheet, so you need precision and a pair of small scissors to cut around them without ruining the ones around. You can find these decals here (mine are D032). The manicure I did was very simple. 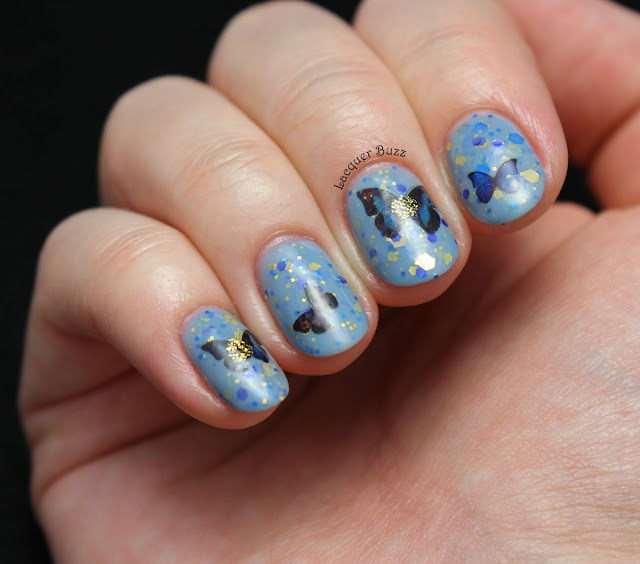 I just did two coats of an old favorite of mine, Etude House PPP503 Celeb Girl, and then slapped on some random butterflies on top. 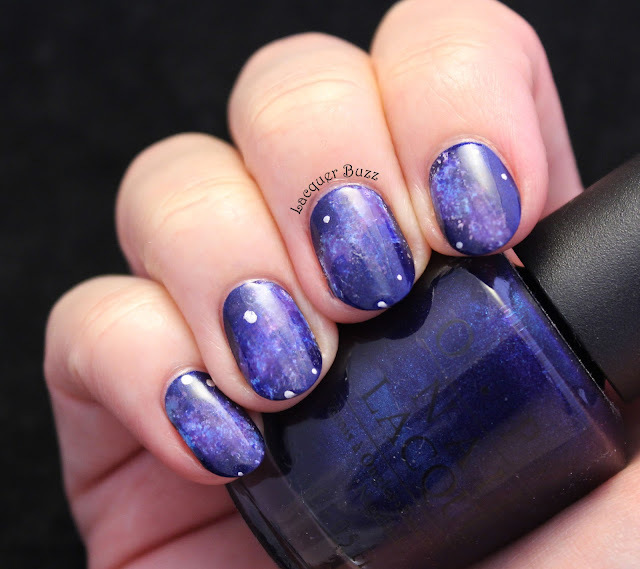 After you add top coat they become part of the manicure and only come off when you decide to take it off with nail polish remover. 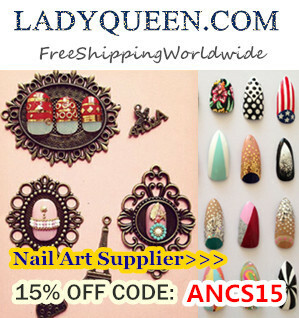 If you plan to place an order with LadyQueen you can use code ANCS15 to get 15% off you order at checkout. 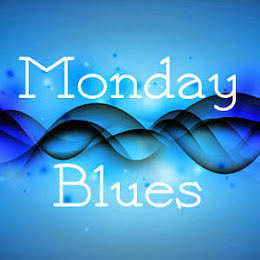 I hope you liked this design and don't forget to check out the rest of the Monday Blues of March by clicking the links below!